Afraid of neither wind nor weather: lightweight bivy sack that packs down small made of waterproof, bluesign certified material. Provides good weather protection thanks to the contoured mummy design, hood and drawstring. 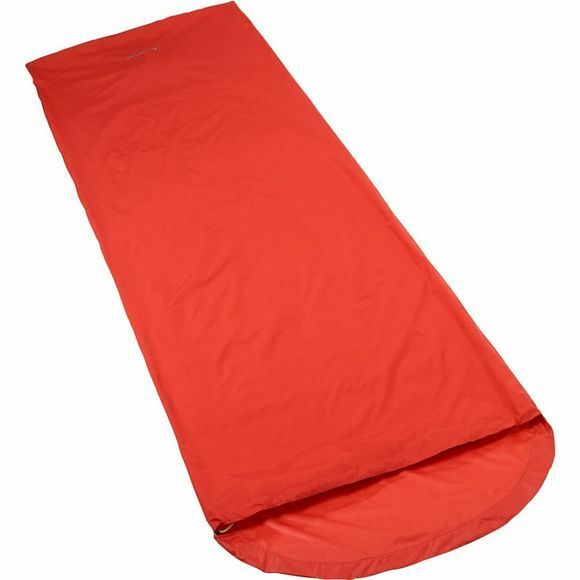 Through the somewhat wider cut, the Biwak II.2 Bivy Sack from Vaude can also be used as emergency bivy sack for two people. When used for one, it offers more freedom of movement and comfort. Can be used as a seat pad thanks to its flat pack format.